Labour MPs have unanimously passed a motion urging the party leadership to do more to tackle anti-Semitism. At a parliamentary party meeting, MPs called for more information about inquiries into those who had been accused of anti-Semitic behaviour. MPs accused general secretary Jennie Formby of refusing to give answers. But a Labour Party source said Ms Formby gave MPs a “comprehensive update”, adding that complaints processes were “confidential”. Ahead of the meeting, Ms Formby said it was important to “eliminate the evil of anti-Semitism” from the party and she was “proud of the progress” that had been made in addressing the issue. BBC political correspondent Jonathan Blake said Monday evening’s meeting of Labour MPs in Westminster was “stormy”. MPs wanted specific details about how many people were being investigated, how many letters had been written to those accused telling to them to desist and what punishments had been given, our correspondent said. Writing in Jewish News ahead of the meeting, MP Catherine McKinnell said she had put forward the motion to the parliamentary group as “far too many cases of anti-Semitism remain unsolved”. She also called for “radical transparency” about how complaints were being dealt with. After the meeting, Labour MP Luciana Berger said “no answers were given”. “If we’re serious of contending with the stain of anti-Semitism within the Labour party then we must get a proper response to all of these questions,” she said. Dame Margaret Hodge said Ms Formby “wasn’t prepared to give us the information that’s required”. “If you want to get rid of the cancer of anti-Semitism in the Labour party, you need complete transparency, and she’s refusing to do that,” she said. Labour MP Wes Streeting said the meeting had been “far from acceptable”. “In not giving us data she’s (Ms Formby) ruled out any sort of possibility of Jewish members and Jewish constituents having confidence in the Labour party going to tackle it,” he said. 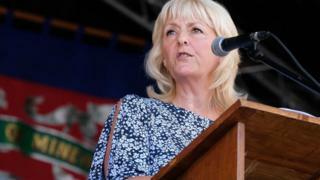 Writing on the Labour List website, Ms Formby said “significant progress” had been made to “strengthen and speed up” the party’s complaints and disputes procedures. But she said further work needed to be done to ensure hearings of Labour’s disciplinary committee, the national constitutional committee (NCC) happen more frequently and with fewer delays. In a statement, Momentum – the Labour movement backing Labour leader Jeremy Corbyn – said it “acknowledges the anger, upset and despair within the British Jewish community at the numerous cases of anti-Semitism in the Labour Party and the party’s failure to date to deal with them in a sufficiently decisive, swift and transparent manner”. “We also note Jeremy Corbyn’s personal pledge to be a militant opponent of anti-Semitism and a permanent ally of the Jewish Community,” the statement said. It added that some of Mr Corbyn’s political opponents were “opportunistically using this issue as a way to undermine his leadership”. A Labour Party source said: “Jennie Formby gave a comprehensive update on the significant work that’s been done to strengthen and speed up procedures and addressed the points in the motion.